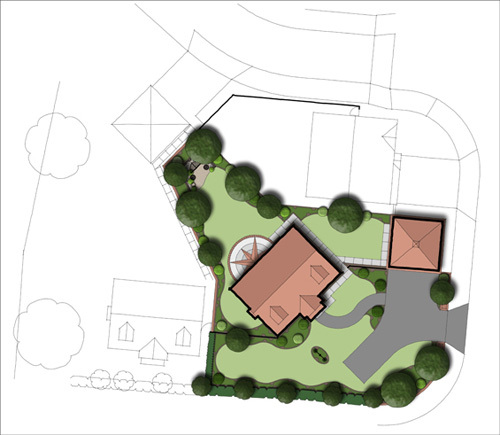 Unrivalled experience in conjunction with the latest in CAD software packages specially tailored by our selves allows us to offer a cost effective solution to plot landscape design, satisfying both the local planning authority and your budget at the same time. Our CAD package allows us to use your .dwg or .pdf format layouts and simply insert our landscaping layers on top. The system allows for exact measurements and quantifying meaning highly accurate schedules and bills of quantities, and helps ensure that all new tree planting fully conforms to NHBC guidelines. We are able to tailor designs to your budget while designing highly attractive planting schemes. Using simple combinations of evergreen and summer-flowering shrubs and by contrasting leaf colour and textures, attractive effects are achieved, using low-cost, reliable and hardy shrubs. Our clear and simple graphics, comprehensive notation and accurate scheduling ensure the scheme is easily interpreted by the contractor into a successful planting scheme. We use a pre-agreed scale of fees depending on the total number of plots, so you know from the outset how much our charges will be. Plot rates start from as little as £8.50/plot (for large high density developments) and are fully inclusive of all work required to satisfy the local planning authorities (excluding layout alterations from developers themselves). We have proven techniques used to gain planning approval for public open spaces with the minimum capital outlay by the developer. Not only this, but we also have expertise in the negotiation of commuted sum payments, further ensuring cost-effective development. The same comprehensive scheduling and notation used for plot landscape proposals again ensures simple and fuss-free implementation. The requirements for play-area provision are increasing within new housing development. We can include play area proposals, whether LAPS, LEAPS and NEAPS, within our POS schemes for submission to local planning authorities. We work very closely with several play equipment manufacturers to ensure our proposals always conform to current standards. 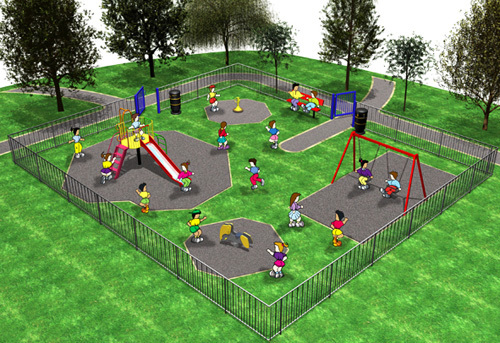 POS & play area proposals are charged at our hourly rate to a pre-agreed figure. Whether you have a budget of a few thousand or tens of thousands, we can help to ensure your show-home gardens look as good as the houses and interiors do. Strategic use of extra-large semi-mature plants and the careful choice of seasonally interesting shrubs and herbaceous plants mean the landscaping will have the desired impact from day one. 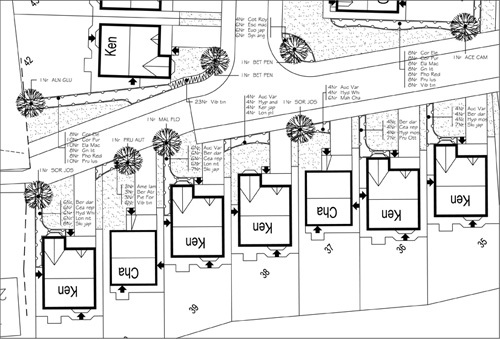 In addition to the layout of the Show Gardens we can provide construction details for any features shown within our designs and post build site inspections.